I had polio in 1951 at age three, was hospitalized for six months, and lived most of my life as a handicapped person trying to be a “normie.” I reside in Marin County with my husband, Richard Falk. I now work part-time, and spend a good deal of time managing our home and garden, and a significant amount managing the effects of post-polio. And I write. 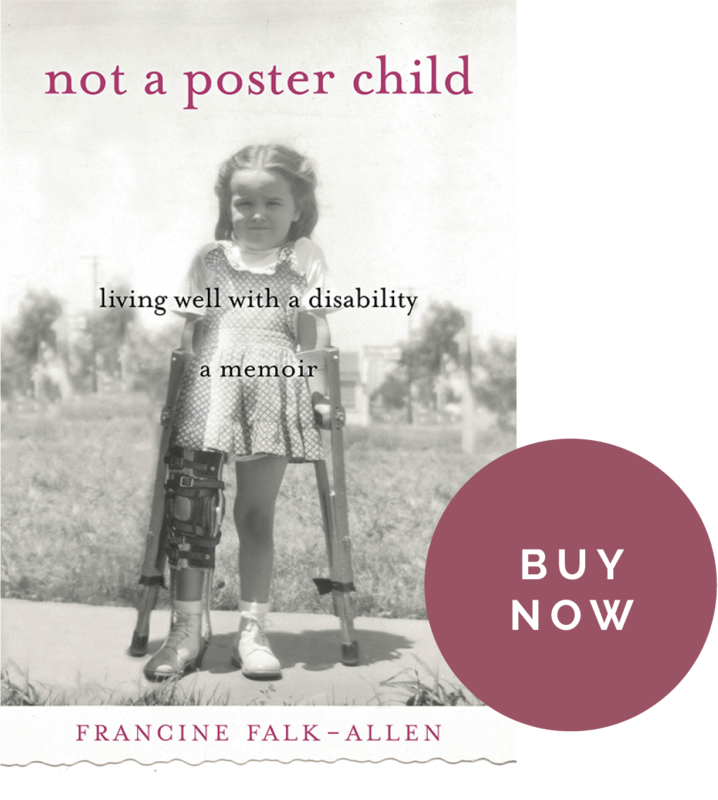 Not a Poster Child: Living Well with a Disability is available now.